And while this may not be 100% true for every disease in every person, more and more research shows that our gut (digestive system) has a bigger role in our health than we used to think. And we’re not just talking about heartburn, constipation, diarrhea, IBS, IBD, etc. We’re talking about all kinds of issues like hormonal imbalances, allergies, pain, mood disorders, and nutrient deficiencies. There are a lot of reasons for this. Our gut is the portal to the outside world. It’s here where we take in disease-causing bacteria, viruses, and parasites. We also take in nutrients (and toxins) through our gut. The nutrients we ingest and absorb are the building blocks of every single part of our body. We’re just learning the connections between our gut and other areas of our body, like our brain (aka “the gut-brain axis”). Not just our gut per se; but, its friendly resident microbes too. These guys also have newly discovered roles in our overall health. So, let’s talk about the roles that our gut and our gut microbes play in our health and wellbeing. 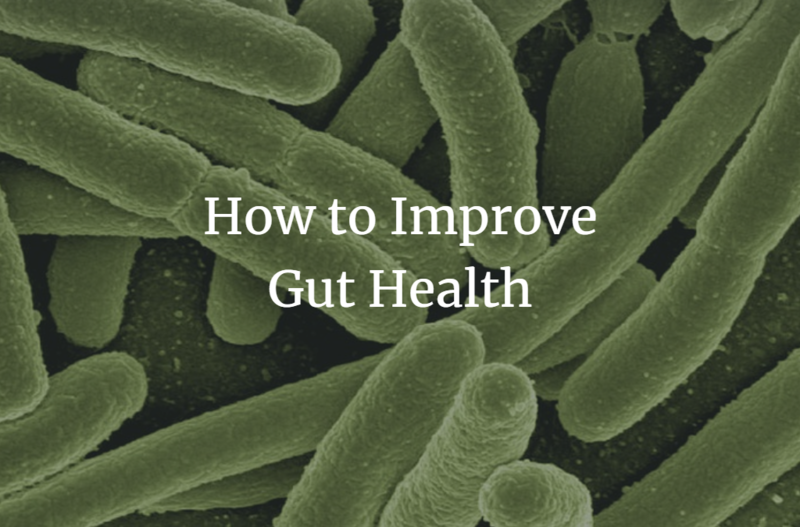 Then I’ll give you tips to improve your gut health naturally. Have you heard of “leaky gut”? It is also known as increased intestinal permeability, where the junctions of the intestinal wall become loose. Many alternative health professionals believe that bacteria, undigested food, and toxins can also get into your bloodstream by leaking through the intestinal wall, even if it’s not supposed to, and this can lead to inflammation and a number of ailments. Whether this actually occurs in disease-free individuals is up for debate in the scientific community. Obviously, a healthy gut is not a leaky gut. It maintains its barrier and shuttles things through to be eliminated. Whether leaky gut causes disease is debatable. Several studies have shown an increase in intestinal permeability in patients with Diabetes, Chron’s, and IBS. Mainstream medical professionals do not recognize leaky gut as a real condition. However, there is quite a bit of scientific evidence that leaky gut does exist in some people with chronic diseases. The second main part of your gut are the billions of friendly health-promoting microbes. Gut microbes help us digest and absorb nutrients. They fight off disease-causing microbes, make some vitamins for us, and have all kinds of other health benefits, including mental health benefits, reducing inflammation, and stabilizing blood sugar. The gut is being referred to as the second brain. As an example, 95% of serotonin receptors are found in the gut. Serotonin is a neurotransmitter that contributes to feelings of well-being and happiness. Recent studies suggest that the gut also plays a major role as a reservoir for the thyroid hormones, especially for T3, the active hormone that gives you your metabolism. The gut may also play a role in the regulation of hormone activity. The hunger hormone, ghrelin, signals your brain to eat, and it is produced in the gastrointestinal tract. Eat well, improve your digestion in order to better absorb nutrients from food, and you can improve your mental and physical health. Keeping your gut microbes happy is key for gut health! By ingesting probiotic-rich foods and drinks, we can also help to replenish our gut microbes. These are found in fermented foods like kombucha, kefir, miso, sauerkraut, and kimchi. While some people can have a histamine-like reaction to fermented foods and should avoid them, most people will benefit from including more of these foods in their diet. Whole foods are full of gut-friendly fiber. Not eating enough fiber increases the risk of heart disease, cancer, diabetes, and obesity. Fiber plays lots of roles in our gut, including whisking away some of those pesky bad bacteria and toxins so they can be eliminated. Fiber also helps to feed the friendly resident microbes that help us absorb and digest our food better. What foods have a lot of fiber? Fruits, vegetables, nuts, seeds, whole grains, and even cacao. The main ways to improve both of these naturally is by eating nutrient-dense whole foods. Foods filled with nutrition, probiotics, and fiber. 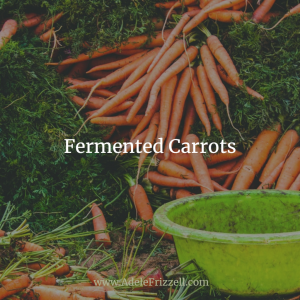 Place carrots into a clean canning jar, packing them in tight. Make sure to leave about 1 inch of headspace at the top.